Serving Hibbing, Eveleth, Grand Rapids, MN, Virginia, MN and surrounding communities! Not only will you find Chrysler, Dodge, Jeep and RAM models at our dealership, serving the greater Hibbing, Grand Rapids, and Virginia areas. You’ll also find a friendly and accommodating staff eager to assist you. That’s true no matter what you’re looking for – be it a test drive in a new Jeep Compass, RAM 1500, Chrysler Pacifica, Jeep Grand Cherokee, Jeep Renegade, used car or used truck, auto financing options, car service appointments, or help figuring out what auto part you might need. People wishing to upgrade to a new Jeep Renegade, RAM 1500, Chrysler Town & Country or Jeep Grand Cherokee are invited to visit our showroom and take a test drive today. Just a short jaunt away from Eveleth, Grand Rapids MN and Virginia MN, we have a model for every driving style: eco-friendly, fast-and-furious, slow-and-steady, safety-conscious. If a new car isn’t in your cards right now, we invite you to browse our hand-picked selection of pre-owned vehicles. Trusted across the Iron Range and smaller Range Cities communities of Chisholm, Cook, Buhl, Mt. Iron, Eveleth, Keewatin, Nashwauk, Pengilly, Marble, Calumet, Coleraine for our immaculate assortment and long-term satisfaction, Hibbing Chrysler Center is always the right turn to take on your quest for the ultimate used car or used truck. To start exploring our envious lineup now, simply visit our easy-to-navigate used car inventory page, online. Or, for a more intimate pre-owned vehicle buying experience, visit Hibbing Chrysler Center in person at 1321 E 39th St, Hibbing, MN 55746. Now, Get Psyched to Talk Auto Financing! You might think we’re being sarcastic, but we’re not. First, auto financing in Hibbing is the key to making the car you want yours. Second, our car loan and Chrysler, Dodge, Jeep and RAM experts make it a whole less intimidating than what you might be used to. Not only do they take the time to clearly explain all terms and conditions; they like what they do – getting you the best deal possible – and it shows. We have Guaranteed Credit Approval! 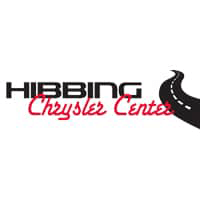 When you take your Chrysler, Dodge, Jeep or RAM to Hibbing Chrysler Center in Hibbing, Minnesota for auto service, you can rest assured knowing your vehicle is in the hands of highly-skilled technicians. Working with Chrysler, Dodge, Jeep, and RAM autos every day isn’t just what our auto service and repair team does. It isn’t just something we’re good at. It’s our love…which means we have as much invested in maintaining, and when necessary repairing, your car as you do. And, if you decide you want to do it yourself, we’ll happily provide you with any manufacturer certified parts you might need – from oil filers to batteries to tires. Among the many services Hibbing Chrysler Center routinely performs are wheel repairs, auto glass repairs, muffler repairs, transmission repairs, tire rotations, oil changes, belt inspections and more. Of course, it’s one thing to brag about everything Hibbing Chrysler Center has to offer drivers from the Hibbing, Virginia, Grand Rapids areas; it’s something completely different to actually show you ourselves. That’s why we invite you to see us in person at 1321 E 39th St, Hibbing, Minnesota 55746 today. Looking for Certified Pre-owned? We’ve got them! Learn more here. We want your trade! Looking to just sell your vehicle? Let us know we’ll make you an offer! Don’t see the vehicle you want on our lot? We will locate it for you! On the spot finance approvals! Find out more about our finance options here.